Mo-Bo special-site Mo-Bo currently offers three models. 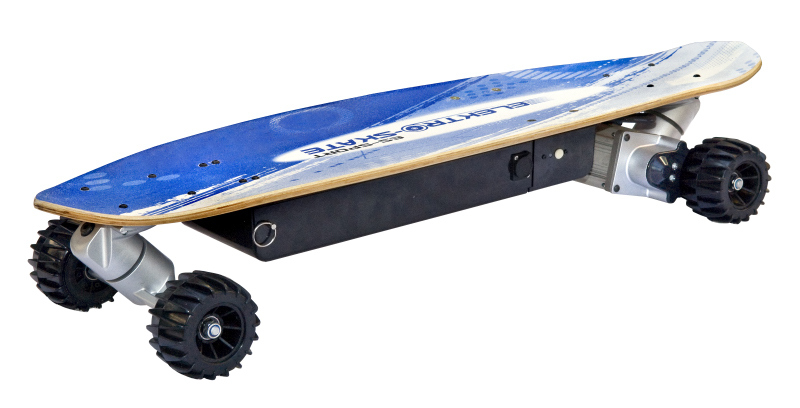 The 800 watts model is promoted as "THE ultimate all-terrain BOARD" and is supposed to speed up to a max of 32 Km/h in the field. Both of the 600 watts models are available as street and traction design. Both models are supposed to go up to a 30 km/h max and solely vary in their tires. All of the models are equipped with an ABS brake and, therefore, have got a braking distance of 12 meters at most. 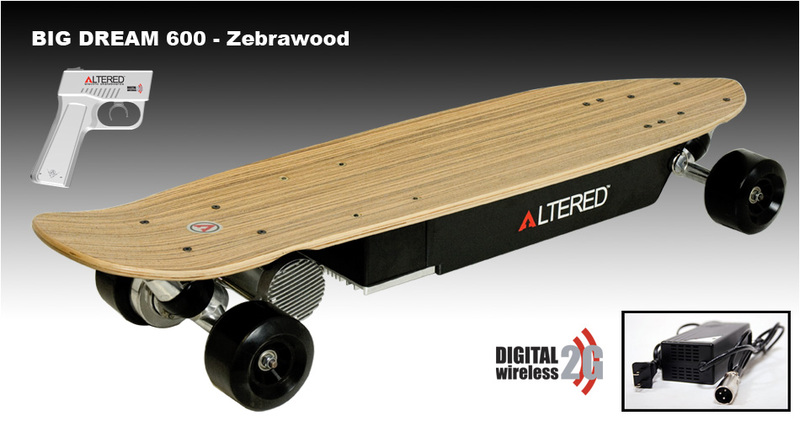 Matter of expense: 449€ for the 600 watts models, and 499€ for the 800 watts board, plus shipping & handling (aprox. 20€). 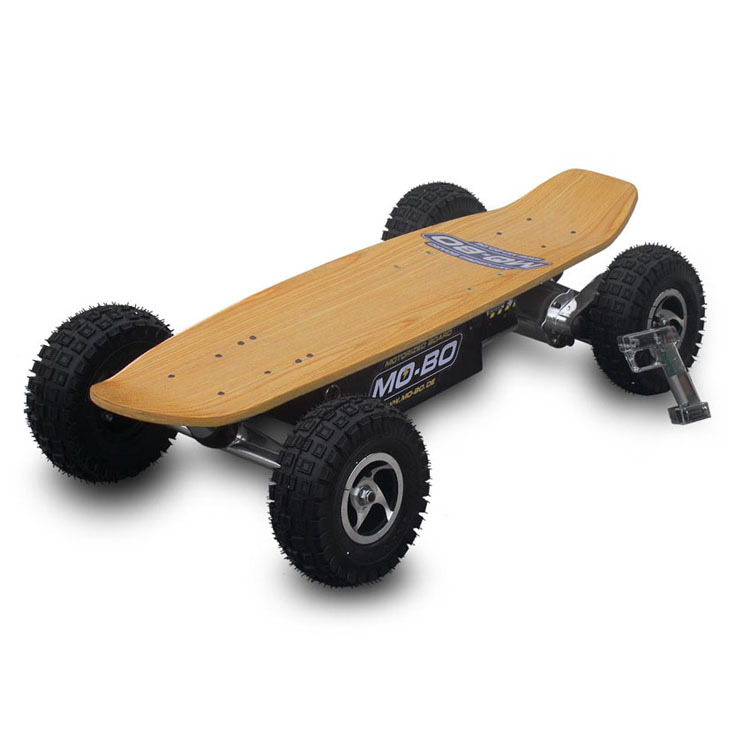 All of Mo-Bo's boards are controlled via a portable wireless remote control which comes in pistol-shaped form. 2C-Boards.de 2C-Boards is an other manufacturer from Germany, with three models to choose. 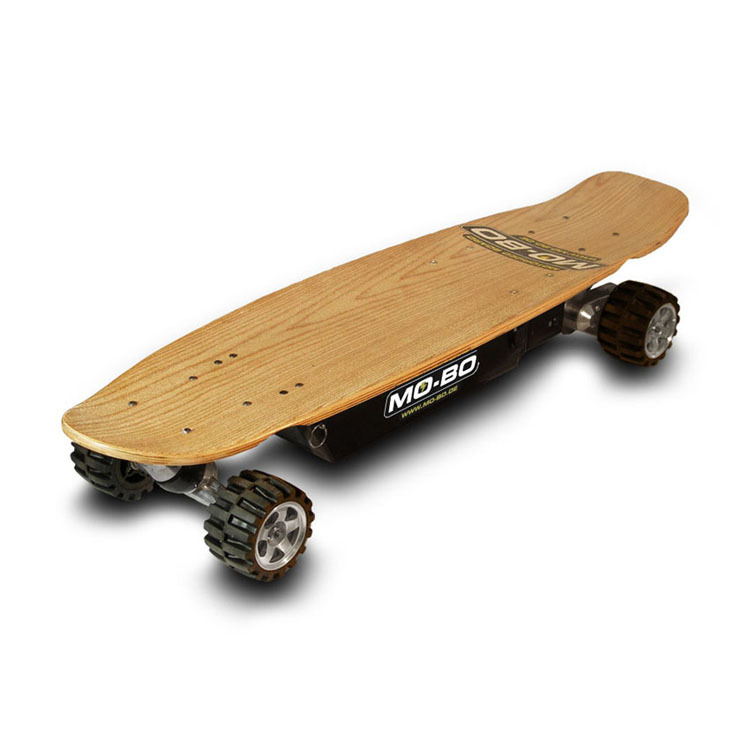 There is a model with 200 watt engine power, one with 350 watt and a board with a 600 watt electromotor. The only difference of the boards from 2C is the color of the deck and the power of the engine. 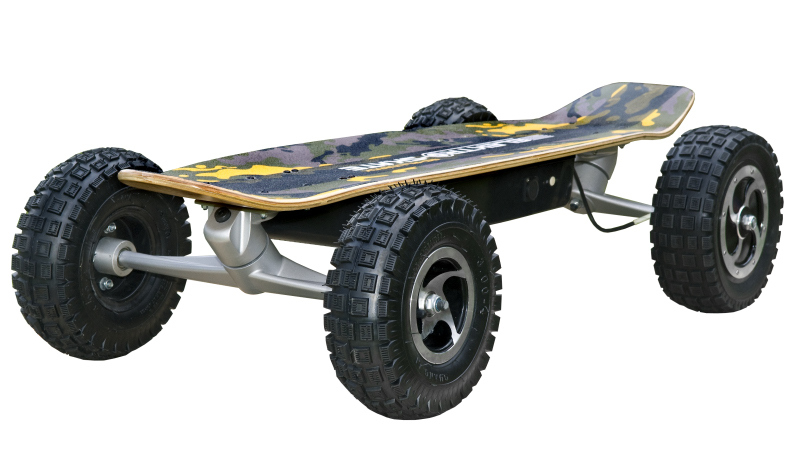 All boards are equipped with traction wheels for the streets. 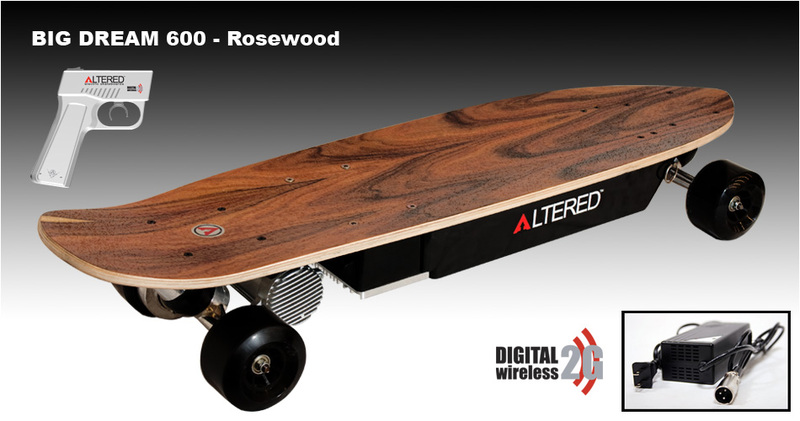 Top speeds are from 20 Km/h with the 200 watt board to 28 Km/h with the 600 watt board. Your wallet will be happy, because you can get the 200 watt version for tiny 249€ and the 600 Watt variety is available for 349€. Certainly there will be some extra shipping. 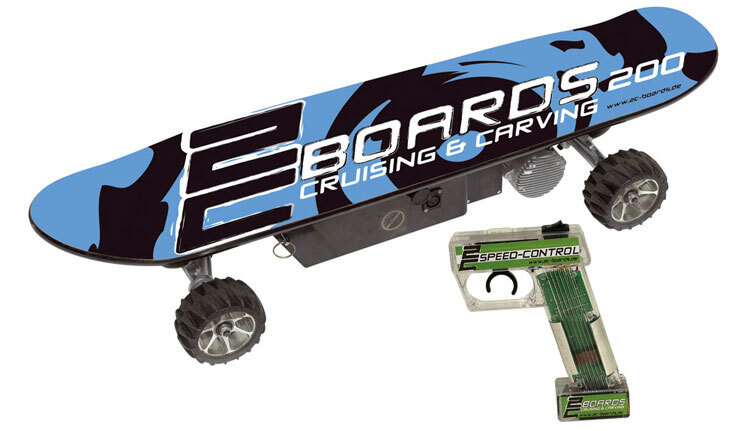 You controll the 2C-Boards with a wireless remote controll in a pistol-shaped form. Elektroskate special-site Elektroskate from Manchester, England, currently offers three models. They claim that the next generation of electric skateboards is supposed to be way ahead of all the others regarding designs, technology and performance. Some of the new features are, for example, the digital bluetooth 2.4G remote control, very light lithium batteries, and brushless motors. 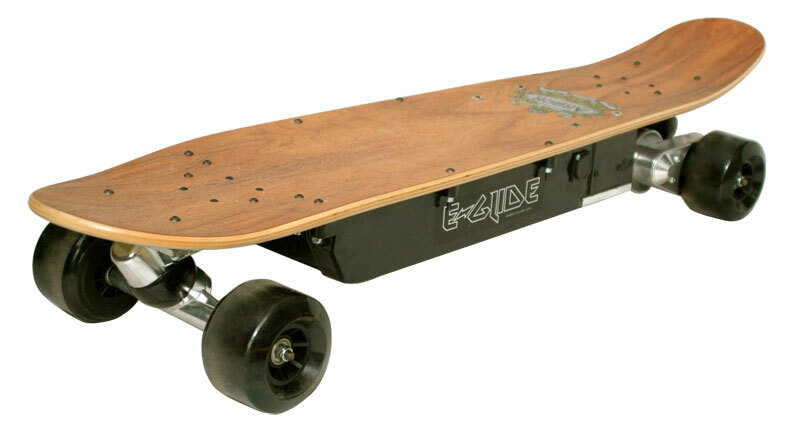 Thus, the boards are supposed to become faster, lighter, and more silent. On top of that, they are to allow a much longer run-time. The smallest model is 400 watts and supposed to speed up to 32 km/h. The 600 watts version is supposed to reach 40 Km/h, and the 800 watts terrain version even wicked 48 Km/h! Tires and the boards' shapes are identical to the ones of the aforementioned manufacturers. Price-wise the whole deal looks as follows: About 490€ (aprox. £450) for the 400 watts board, circa 650€ (aprox. £600) for the 600 watts board, and about 760€ (£700) for the 800 watts board. The British boards can be controlled via an egg-shaped bluetooth remote control. 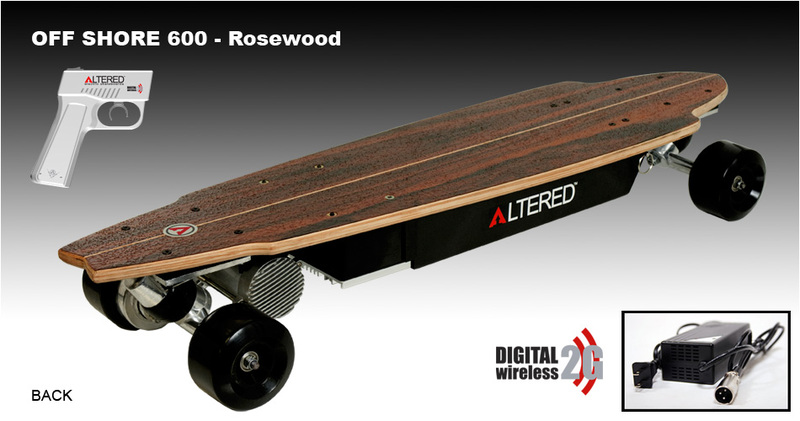 www.alteredelectricskateboards.com Altered, a manufacturer from the United States, currently offers an assortment of eight models. Among them are a 250 watts board supposed to reach a speed of about 20 Km/h on the street, six 600 watts models that can get as fast as approximately 30 Km/h, and one board of 800 watts. 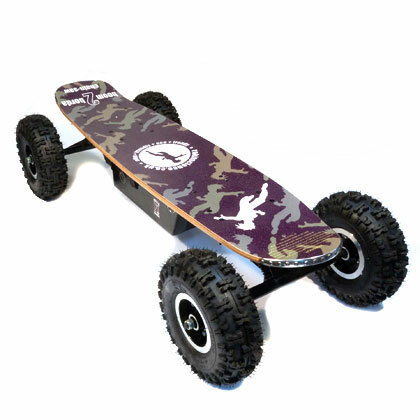 This board is supposed to let you skate in the terrain at about 32 Km/h of speed. By and large, the models just vary in the boards' shapes and are supposed to cost between $400 (aprox. 305€) for the smallest model, and $800 (aprox. 610€) for the terrain version. Also, you should keep the additional shipping fees of a few euros in mind. This manufacturer's boards are supposed to have a braking distance of up to just 12 meters as well. 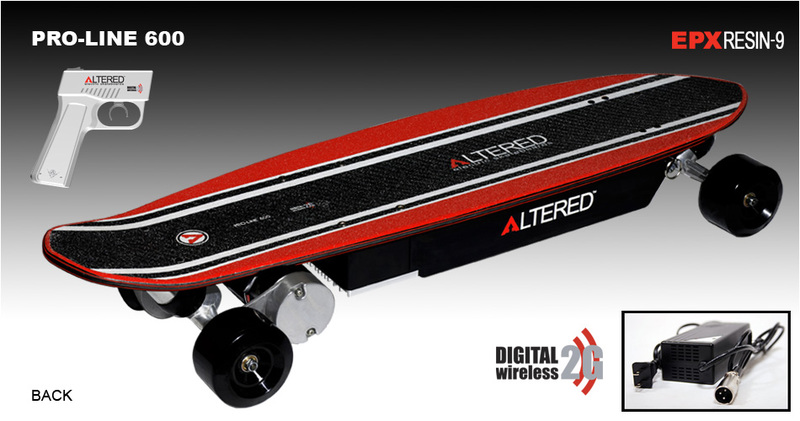 Altered's boards are also controlled by using a wireless remote control. www.rokitscience.co.uk Rokit Science, an England-based manufacturer, currently has got six boards on the market. 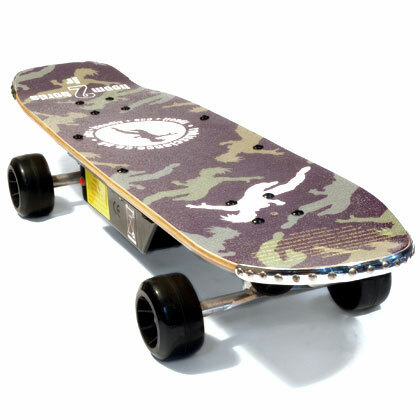 The British skateboards start with the 150 watts models that are supposed to reach speeds of up to 11 Km/h max. 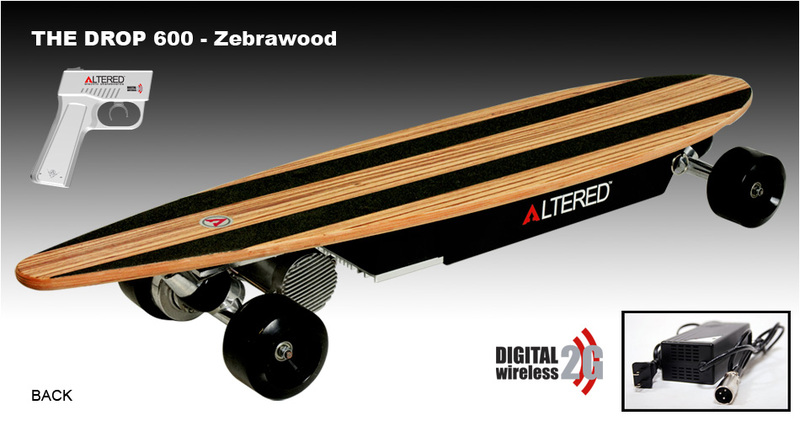 The next larger edition of their boards comes with a total of 400 watts and can reach a good 32 Km/h. Next up, Rokit Science offers two 600 watts boards that are said to reach up to 40 Km/h top. Last but not least, they've got two variations of 800 watts boards which are supposed to let you skate with up to 48 Km/h max even offside your route. All the boards look very much alike form- and design-wise. So, if you are looking for something unique and special, you will have to make use of a little DIY. The boards are also equipped with an ABS brake. 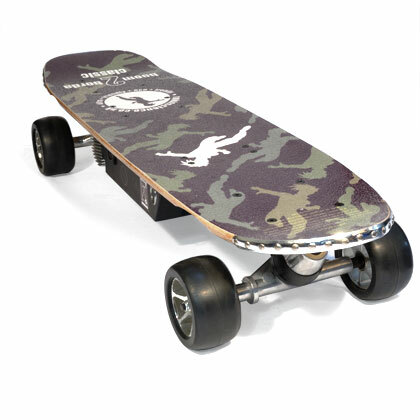 With regard to price, the boards range between £150 (aprox. 170€) for the smallest version, and £650 (aprox. 740€) for the largest. Also, shipping & handling fees need to be added as well. Once again, you control the boards via a wireless remote control. 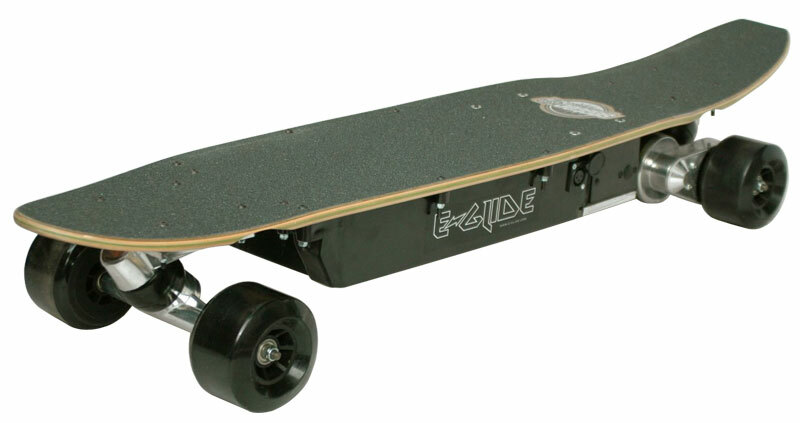 www.e-glide.com E-Glide is another US-based manufacturer who refers to their boards as the "World's most reliable hi-performance powerboards". This might sound megalomaniac, but a healthy dose of self-confidence hasn't hurt anyone yet. E-Glide delivers nine models of which seven are equipped with a 400 watts motor that is supposed to speed up to 32 Km/h. 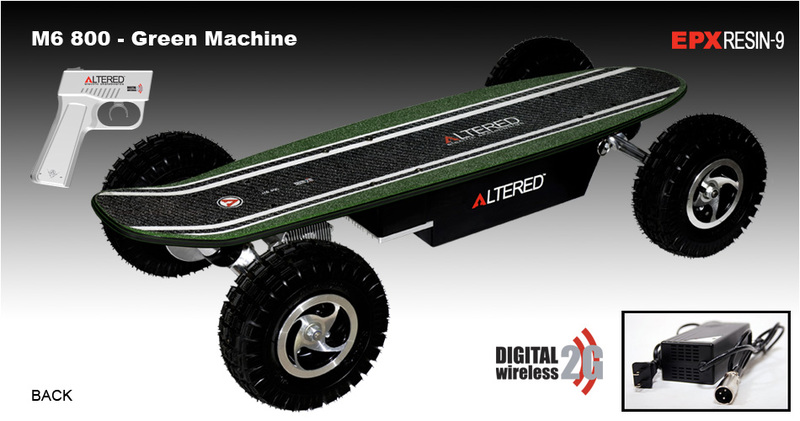 Furthermore, there are a 800 watts terrain model and a new low deck model. 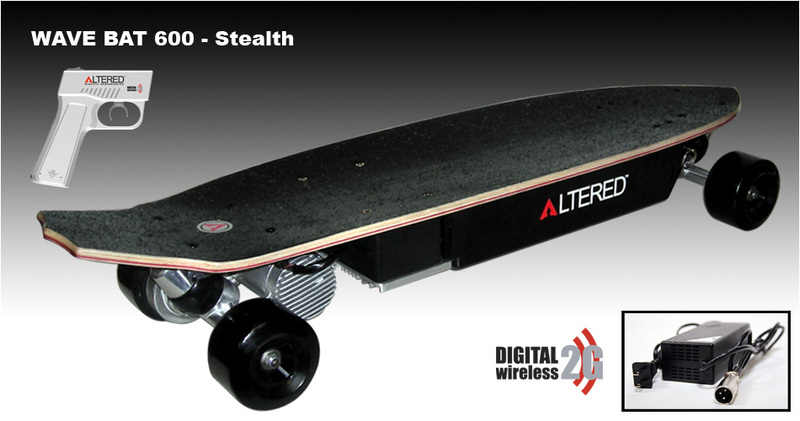 The latter is known as the 'sports car' among all electric skateboards. It is positioned lower and equipped with bionic trucks. This is supposed to let you control the board more, and, also, lead to a better, improved feeling while on the board. 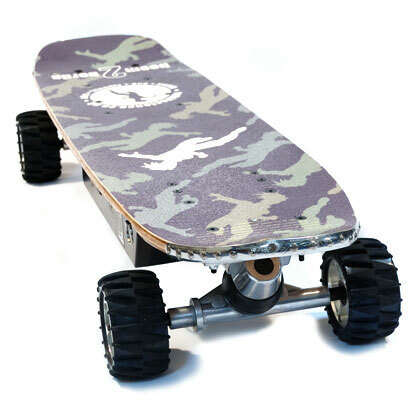 Decks are available in different sizes and with various tires. 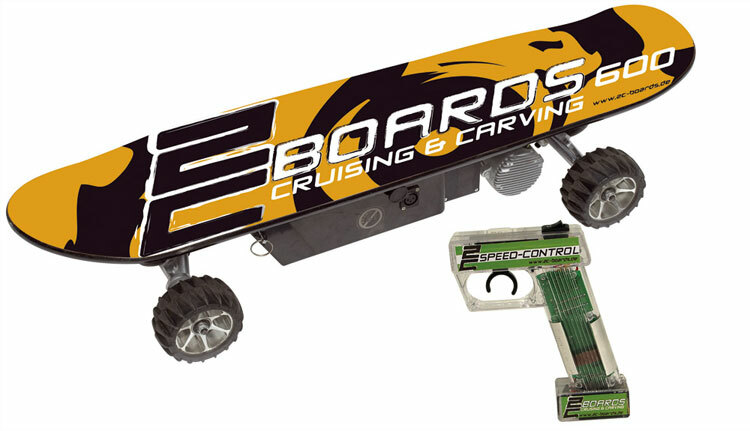 E-Glide's powerboards can be controlled via a wired remote control. 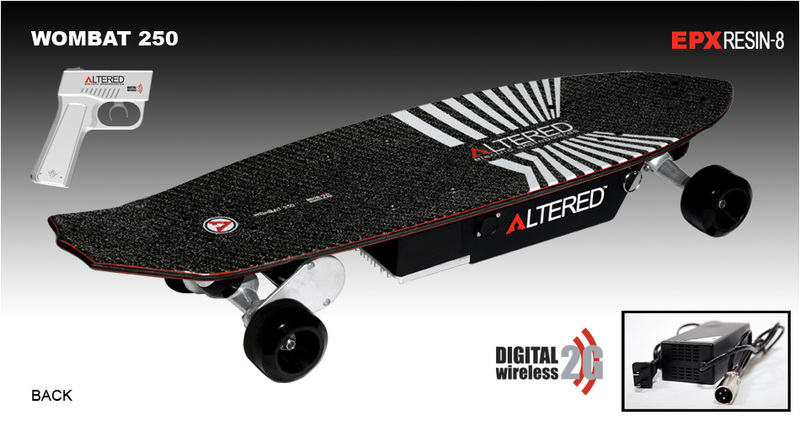 The manufacturer justifies this wired remote control by stating that the current wireless technology isn't perfected enough yet for its use with electric skateboards. Additionally, they claim that the boards are a lot quieter than the ones with a wireless remote control. Rest assured that we are going to investigate on that!